The game has two phases: construction and competition. 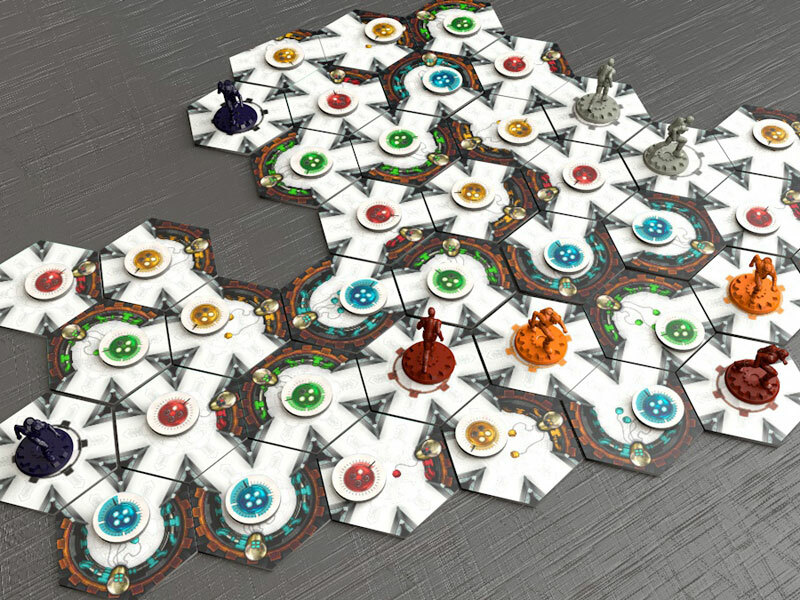 In the construction phase, players take turns placing tiles and creating the the board (maze). 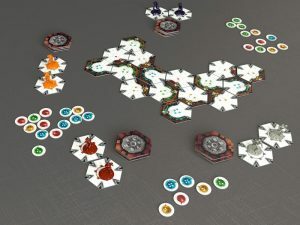 Then the competition phase begins, where players move around the maze attempting to collect more points (oxygen) than their opponents. 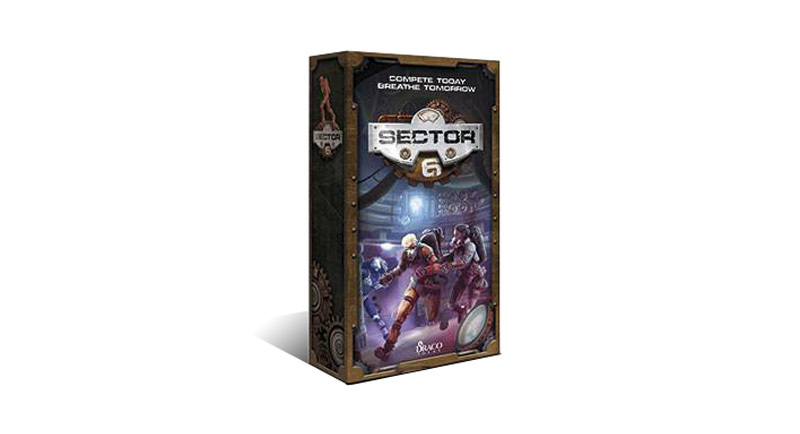 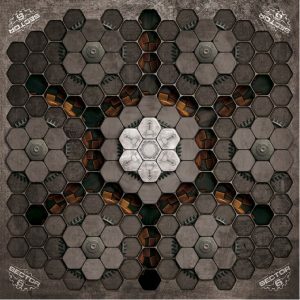 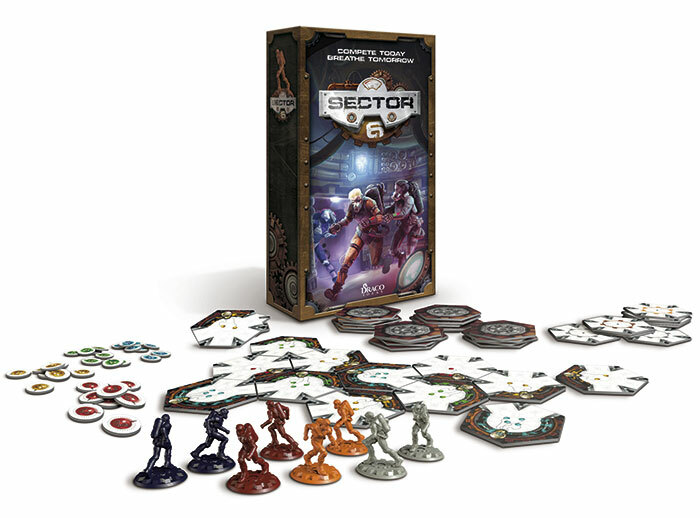 Where players place their tiles is of utmost strategic importance in the construction phase: Sector 6´s building system allows strategic planning while the maze is being created. 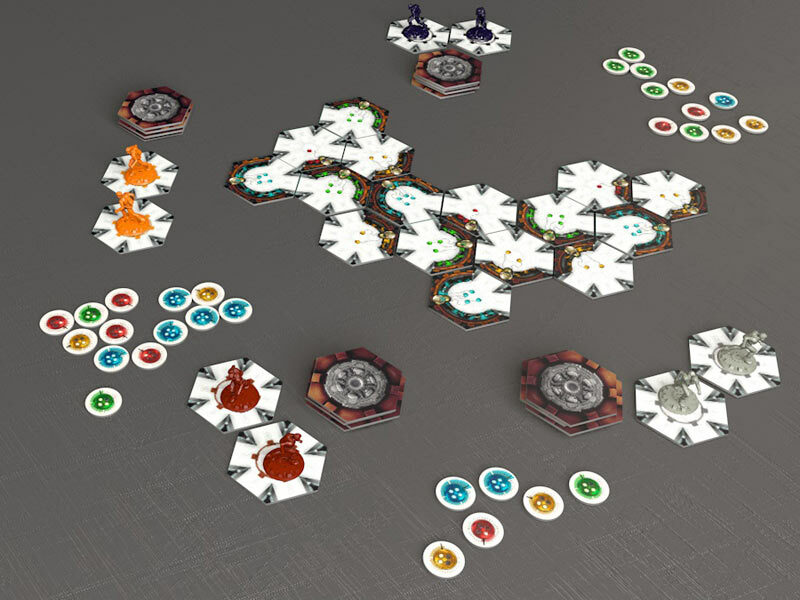 In the absence of a predefined configuration, each game takes place on an entirely new board. 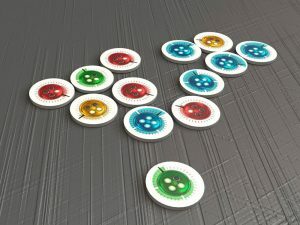 There are essentially an infinite amount of setup configurations which allows for high replay value. 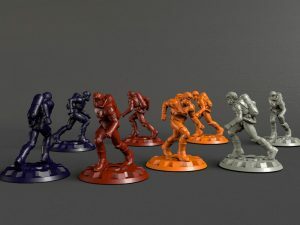 But building a good maze and moving quickly will not be enough to achieve victory. 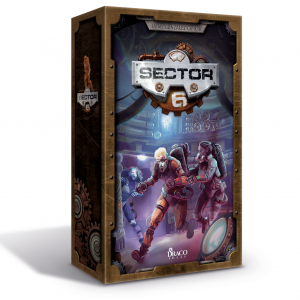 During the game, Sector 6’s maze will be in constant motion, as players can rotate the tiles, thereby changing the layout of the maze, potentially allowing players to block their opponents or create new pathways to reach the points faster. So it won’t be the fastest player who wins, but the one who learns how to best use the intricacies of the maze to their own advantage and to the detriment of their opponents! 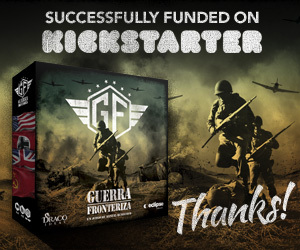 Rulebook, 8 miniatures of prisoners in four different colors, 32 hexagonal tiles of different models of corridors, 8 tiles of insertion point of four different colors, 32 markers of oxygen also in 4 colors and a Guide of Labyrinths included in the rules.